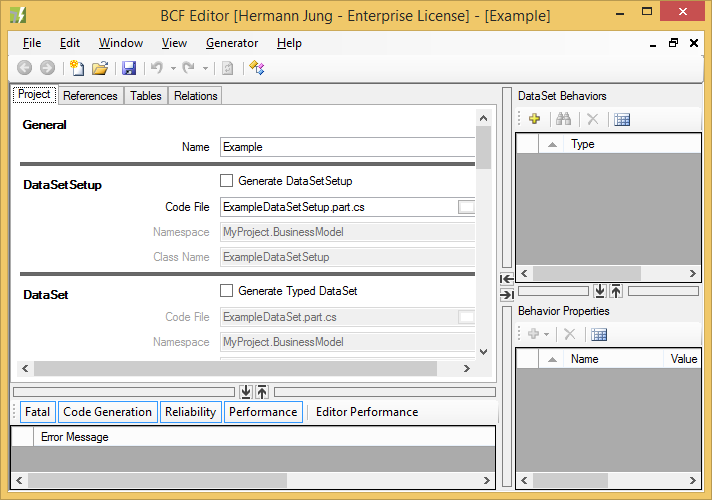 BCF Editor UI has 3 areas. The areas are separated by moveable splitters. Click the small arrow buttons to minimize and restore areas. The main working area. Most model items will be created and edited here. 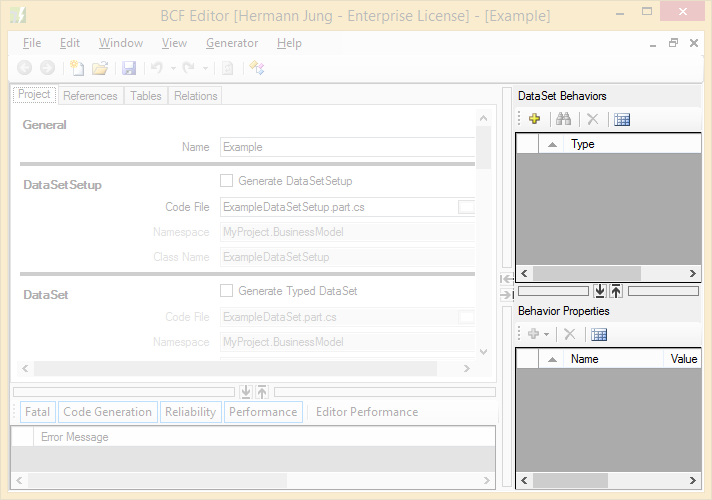 Depending on the state of category area behavioritems can added and edited here. 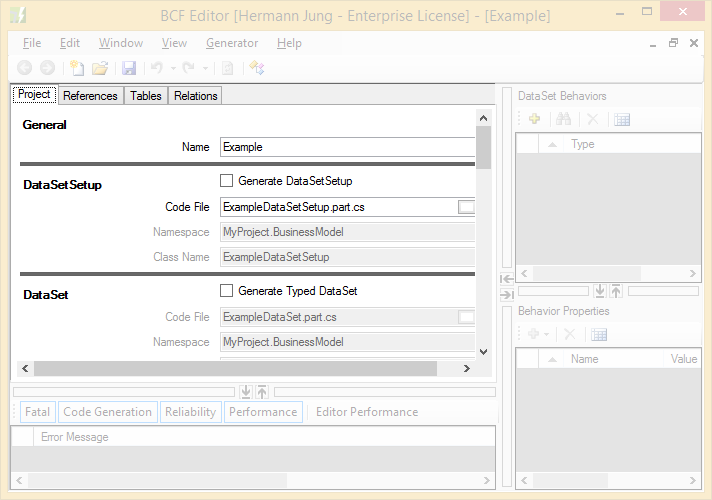 A Visual Studio like info panel. 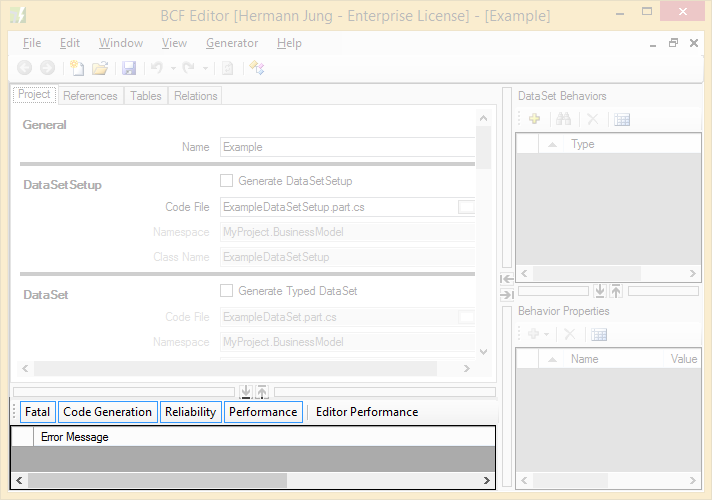 Double clicking an item will select the issue in category or behavior area.